Own a Nelson Eddy costume from “Sweethearts”! Debbie Reynolds is selling it…and you can get it right from her website at this link. 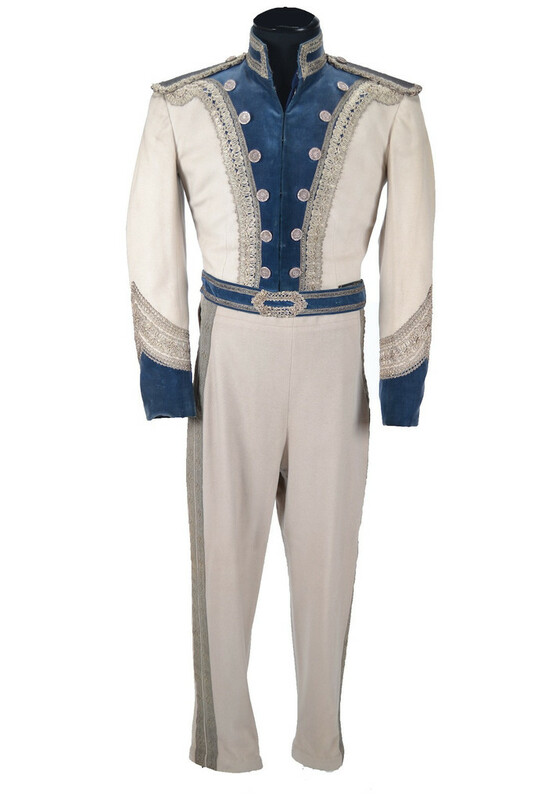 (MGM, 1938) Ivory wool military style jacket with shoulder applets, blue velvet accents, trimmed in silver bullion and filigree buttons. 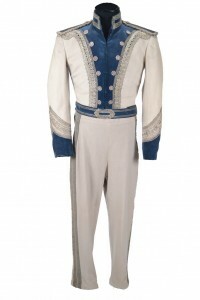 Coordinating pants with double stripe of silver bullion trim. Jacket has MGM label handwritten “N. 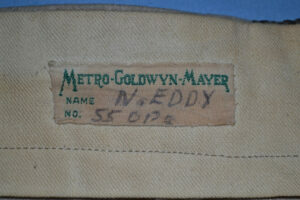 EDDY 1055-84” and “5” in sleeve. Exhibits very light soiling on back. A few tiny holes. Pants have MGM label handwritten “N. 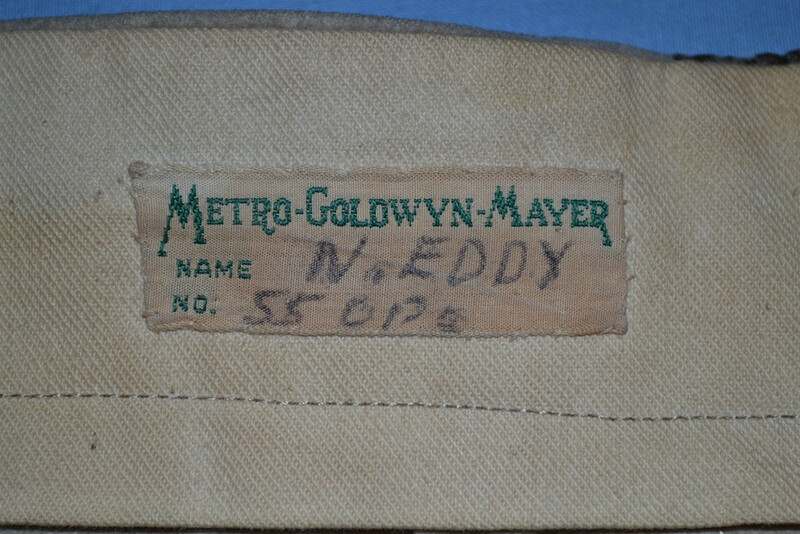 EDDY 55 OPE” and “3”. Two inch tear along back inseam. . Designed by Adrian. Made for Nelson Eddy as “Earnest Lane” in Sweethearts but not in the final version of the film. 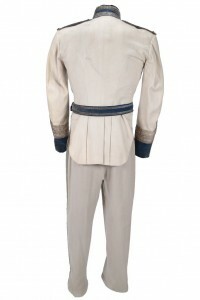 Coordinates with the male chorus outfits from the number “On Parade”. Most likely in order for him to stand out from the rest of the backup singers he wears a different outfit. Here is a shot of the back of it as well as Nelson’s name in the label. If you decide to purchase this please let us know! « Jeanette MacDonald’s Baked Beans Recipe	» Own Nelson Eddy’s pants from “Bitter Sweet”!